Your CPRS Northern Lights executive team has been busy setting the schedule for a full day of learning at our annual Building Blocks event. Save the date! This year’s Building Blocks will take place on April 28, starting at 10:30am and running the duration of the day. We are happy to announce one of our presenters for the day, Jeremy Berry, APR, DComm, an Associate Professor in the Public Relations Program within the Faculty of Communication Studies from Mount Royal University in Calgary. Jeremy will talk to us on two intriguing topics: “Generation Y in your Office” and “Managing the Media Mix” (see more below). Prior to joining Mount Royal University in 2008, Jeremy had a successful career in political and government communications and as a news reporter. He is an accredited member of the Canadian Public Relations Society (has done APR maintenance thru 2018) and an active volunteer in the community. 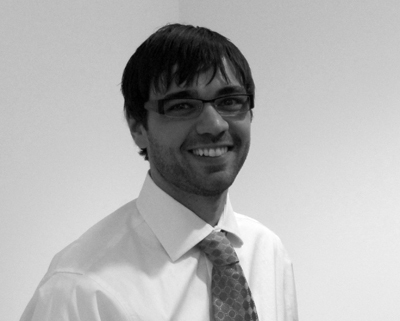 Jeremy’s research interests include media relations, crisis communications, social media and Generation Y. He also serves as an editor for the Public Relations Journal. Jeremy completed his Doctor of Communication in November of 2013. You can follow him on Twitter @prwithjb. My workshop will highlight a series of studies I did specific to Generation Y in the public sector and will show that in order to attract Generation Y graduates organizations need to market themselves as innovative and creative. In this session, attendees will be involved in an engaging and thought provoking discussion about the future communications office and the future communicator. Each attendee can expect to walk away with useful information to assist them in their own intergenerational workplace. Is it time to bury the press release and retire your traditional media rolodex? In this session I will outline trends in new media and traditional media and help you identify ways to find your right media relations mix. To register for this event now, visit our event page on Facebook! This entry was posted in Events and tagged Building Blocks, cprs. Bookmark the permalink.